Wiley is our veteran Catalina 36. 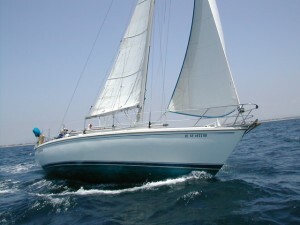 Available for sail charter or lessons. For all-day or half day charters, Click Day Sail. 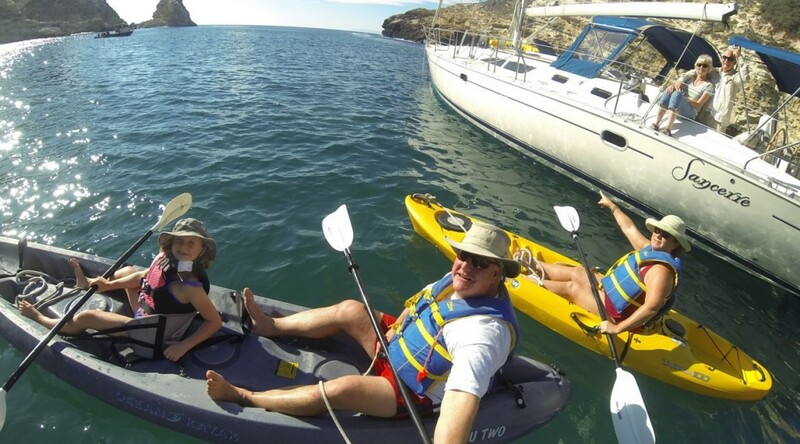 Or Call 805.750.7828 for more Sail Channel Islands information. Wiley is our primary training boat. until you’re both competent and confident. Most beginning sailing courses get you ready for sailing on small lakes, but this is the Pacific. Most times, this part of our ocean is benign, but you have to be ready for the times when she acts up. You also have to have navigation skills to deal with commercial traffic and occasionally tricky anchorages. Capt. Dan is also Chaplain Dan and he is ready to help you tie the knot or say goodbye to a loved one with joy, care and dignity. Capt. Dan’s ceremonies are unique and surprisingly inexpensive. Weddings are typically aboard Sancerre, but can be on Wiley or at any California location you choose. Call 805.750.7828 or e-mail for information on Wedding or e-mail for information on Memorial Ceremony. Hi, I’m Capt. Dan. I’m on the right. I’ve been sailing for more than 40 years and sailing the California Channel Islands for the last decade… MORE.